List of Huawei Devices Getting Android 7.0 Nougat Update . Name and List of Huawei Mobiles updating to Android Nougat 7.0 . 1 Name and List of Huawei Mobiles updating to Android Nougat 7.0 . 1.1 Which Huawei devices will get the Android 7.0 Nougat Update ? 1.1.1 List and Names of Expected Huawei devices that will get Android 7.0 Nougat Update . 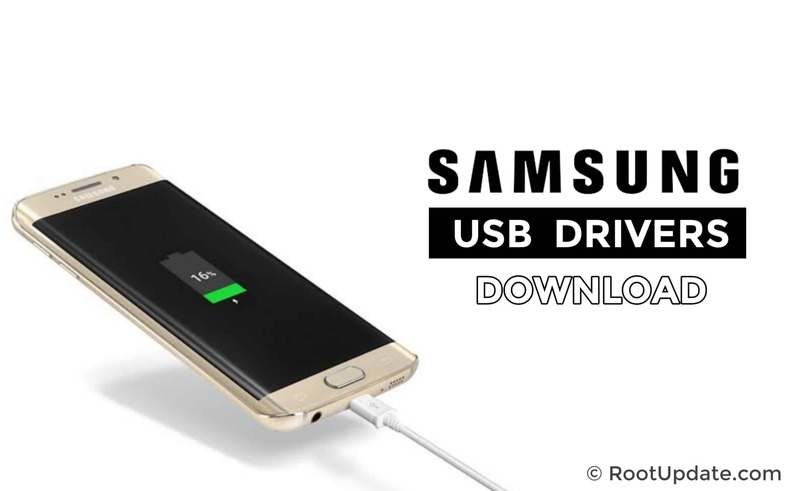 Using a huawei device ? 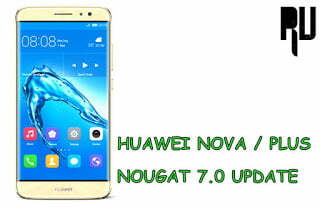 And want to know name of huawei android phones getting nougat 7.0 update ? if yes then you are at right place . Today we are here with the guide on which huawei phones will be updated to android n 7.0 nougat EMUI 5.0 . Huawei is one of the leading smartphone brand in china, The company mainly focuses on low price smartphone with good hardware specifications . Huawei p9 is the latest flaghsip device from the company which undoubtedly is a powerful device . Huawei recently started rolling out official nougat update for their devices, However there are more hawei devices which can be updated to nougat by installing a custom rom . So in this guide we will tell the names of huawei devices expected to get nougat and also we will tell if there is any custom rom available for the device or not . Which Huawei devices will get the Android 7.0 Nougat Update ? Android 7.0 nougat is the latest android version . The new os comes with many features and upgrades . The best feature according to us in Nougat is the multiwindow feature which lets you use other app without leaving the app you are using . Second best feature is the Sytem ui tuner which lets you customize the status bar, The dropdown menu and quick settings according to your choice . [CM14] Cyanogenmod 14 Update List, Rom Downloads and Features . Below is The official and confirmed List of Huawei Devices getting android 7.0 Nougat update . 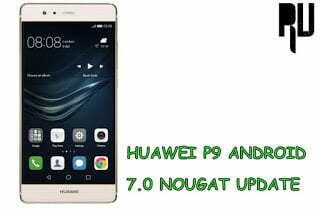 Huawei P9 is the very first smartphone of huawei which started receiving official nougat update . Company has already started rolling out The update in china . Sooner global roll out will also be done . we have also written a guide on How to update Huawei p9 to android 7.0 Nougat officially . Huawei P9 plus is also in the list to get android 7.0 nougat update soon . Along with the Huawei p9 plus the huawei P9 Lite will also get the update . So the whole P9 series is in the list to get official nougat update . 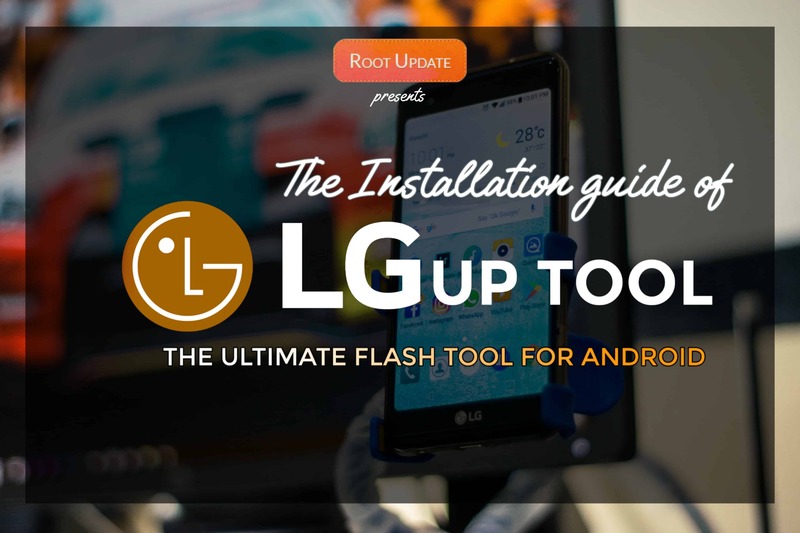 To get the updates just go to settings > about phone > System updates and keep checking for the updates .List of android 7.0 Nougat Custom rom for popular android phones . Huawei Mate 8 Nougat Update . 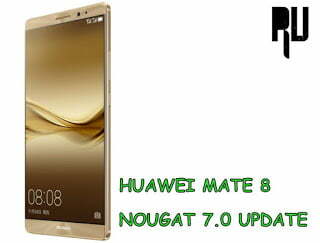 Just like the P9 huawei mate 8 also started receiving nougat 7.0 update . Company has started rolling out official nougat update for the mate 8 in china . Global roll out of the update will be done soon . 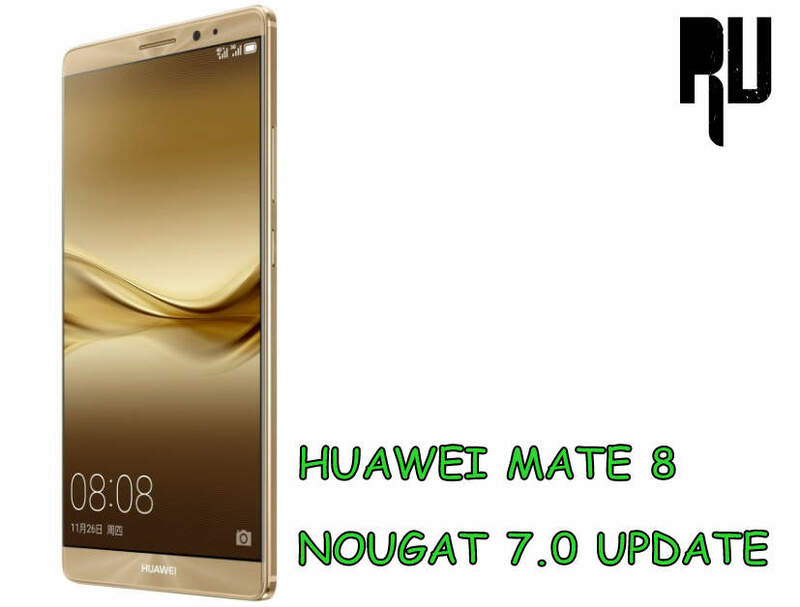 Here is the Guide on How to Update Huawei Mate 8 to Android 7.0 Nougat officially . Huawe Nova and Nova plus are the last smartphone in the official and confirmed list of Huawei devices getting android 7.0 Nougat update . List and Names of Expected Huawei devices that will get Android 7.0 Nougat Update . The list of huawei nougat update is based on the hardware capabilities and it is not official list so the smartphones mentioned in the list may or may not get the Nougat update .However we will also mention the custom rom for huawei device in the post . Huawei Honor 4X nougat update . 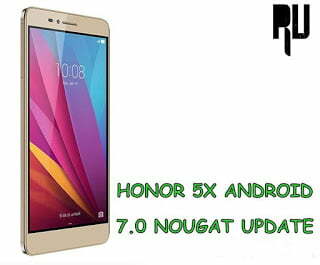 Huawei Honor 4x nougat update is soon expected and it is also one of the most popular huawei budget device . The smartphone comes with 2gb of ram and a octa core processor . The device officiall runs on android 6.0 marshmallow and soon it is expected that huawei will roll out android 7.0 update for Honor 4x . Along with the Honor 4x the 4c is also expected to get nougat update . 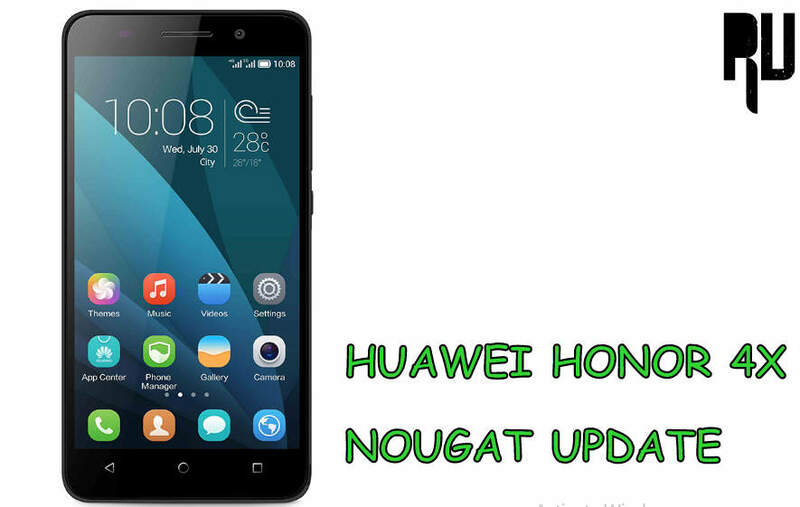 As both the smartphones come with almost similar features and hardware specifications so it is expected that company will also roll out official nougat 7.0 update for Huawei honor 4c . Huawei Honor 5x is also on the list of Huawei devices getting android 7.0 Nougat update . Not only Official update but there is also a Cm14 rom for Huawei honor 5x with which users can update their device to android 7.0 and enjoy latest os on their devices , Here is the guide on How to install Cm14 in Huawei Honor 5x . Huawei has started a beta testing program for Honor 8 users in which users who are interested to get nougat before everyone can simply register themselves in nougat beta testing . 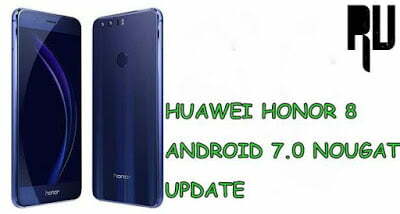 Here is the guide on How to update Huawei honor 8 to android 7.0 Nougat officially . Huawei Honor Holly 3 . 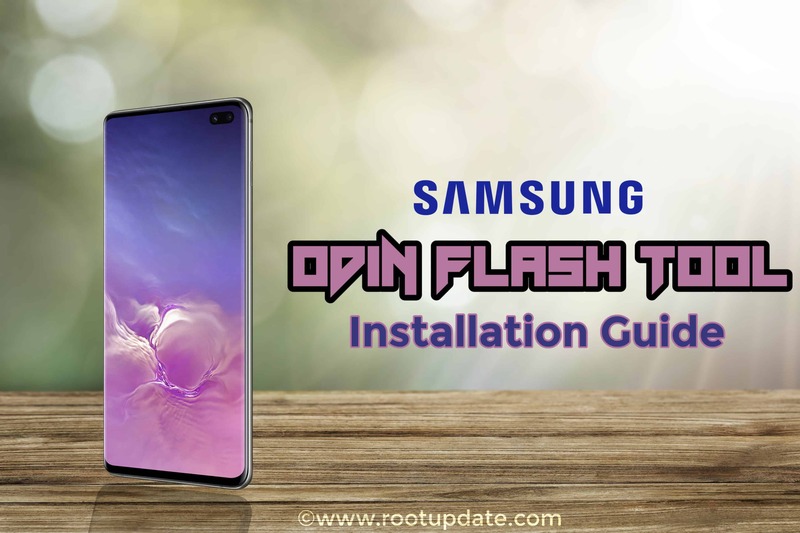 More Devices in the list will be added as per availability of custom roms and official notification . So this was our Guide on names and list of Huawei smartphones updating to android 7.0 Nougat EMUI 5.0 . I hope you liked our Guide . Will honor 4c get nougat update.It is expected or not? can i update huwaei y6 ii marshmallow to nougat ??? ?